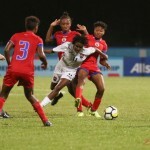 Defending the title they have won in the competition’s last four editions, USA got off to a winning start in the 2018 edition of the CONCACAF Under-20 Women’s Championship. 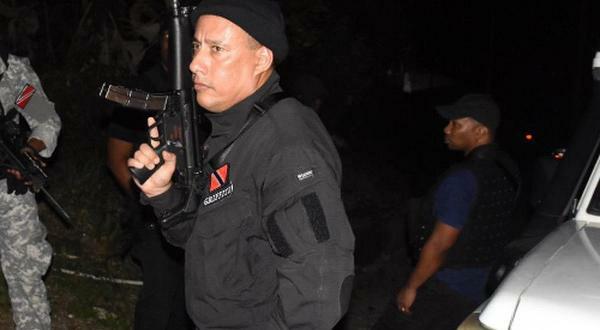 On a cool Friday evening at the Ato Boldon Stadium, they defeated Nicaragua 2-0. 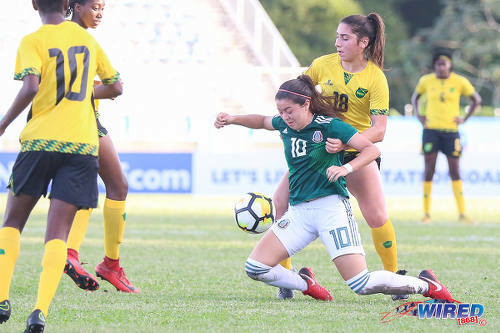 On the second evening of tournament action in Couva, Jamaica suffered a 4-0 defeat at the hands of Mexico in the first match in Group B. A brace in either half secured the win for the Mexicans and put them comfortably at the top of the group standings. Photo: Mexico playmaker Katty Martinez (centre) falls to the ground under pressure from Jamaica midfielder Emily Caza during CONCACAF Women’s Under-20 Championship action at the Ato Boldon Stadium, Couva on 19 January 2018. According to USA head coach Jitka Klimkova too, despite the relatively comfortable win, everything did not go to plan in the second game. 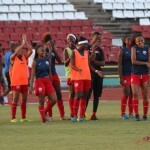 The Central American minnows, who qualified for this round of the tournament for the first time in a decade, showed pluck and fight and made their northern neighbours work for their three points. The Nicaraguan team featured players who either play exclusively with local teams or are unattached to a team altogether. 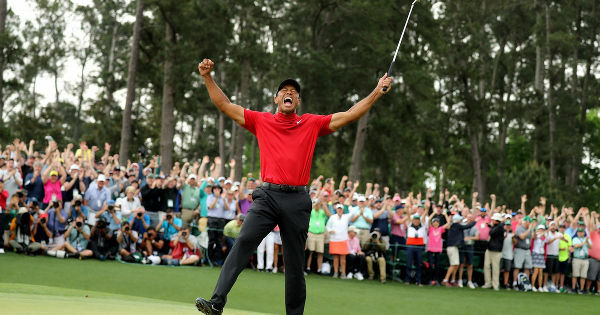 But what they lack in pedigree when compared to their opponents, they made up for it with grit and a defensive understanding that belied their reputation and tournament inexperience. They kept the CONCACAF Women juggernauts at bay until the 18th minute when the impressive Taryn Torres stole in at the near post to hammer in a low cross. 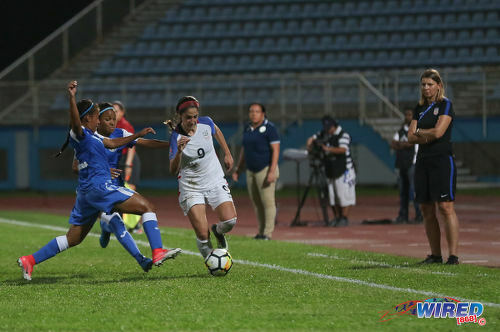 Photo: United States forward Savannah DeMelo (centre) tries to escape from two Nicaragua defenders while coach Jitka Klimkova (right) looks on during CONCACAF Women’s Under-20 Championship action at the Ato Boldon Stadium in Couva on 19 January 2017. The fear would have been that this opener would be the cue for the flood gates to open. For the Nicaraguans, however, that message seemed to have been lost in translation. Instead, they matched the champions with tenacity and held the door closed. It was not until the 53rd minute that the consistently probing Americans, were able to open them up sufficiently to finally register another goal, Stanford standout Civana Kuhlmann slotting home beyond goalkeeper Norori. But the usually potent USA attack could not muster a third goal. Klimkova was still pleased as she believed that the nerves will now be out of her players’ systems and they will now have come to terms with the pressures of being title favourites. “You could see in the first half, that we didn’t play the way that we wanted to play,” said Klimkova, “and that (the pressure) is why. (It’s) because we really want to win this tournament and the nerves were there. 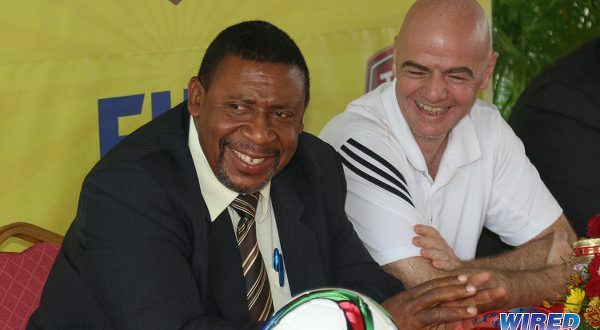 “Every opposition that we are facing wants to beat us and I see teams that have a big chance to be successful in this tournament; everyone has a chance. 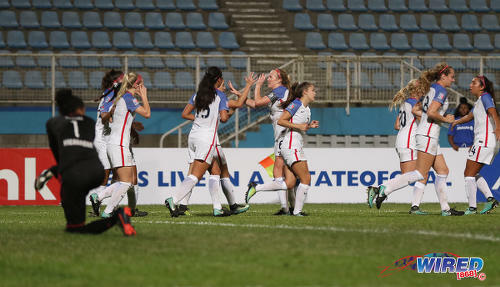 Photo: The United States team celebrate a goal against Nicaragua during CONCACAF Women’s Under-20 Championship action at the Ato Boldon Stadium, Couva on 19 January 2018. 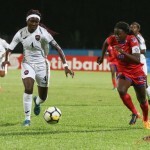 Nicaragua head coach Elna Dixon viewed her team’s performance and the result as a victory in itself. She was proud at and satisfied with the commitment her players had displayed and admitted that they were just happy to be a part of the tournament and continue their development. “Our football is still developing,” she told the media via a translator. “So we came here today with our best face. This is a motivation for us. Jacqueline Orvalle, the most dangerous player in the first half, capped off her fine display by opening the scoring with a header into the corner from a pin-point Dayana Cazares cross. Katty Martinez then doubled their lead with a brilliant near-post header a few moments later as Jamaica struggled to contain their nifty and fluent opponents. 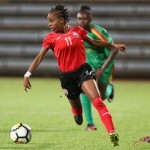 Orvalle almost got her double on the stroke of halftime with a venomous left-footed drive but the acrobatics of junior Reggae Girls captain and custodian Sydney Schneider preserved the score-line. 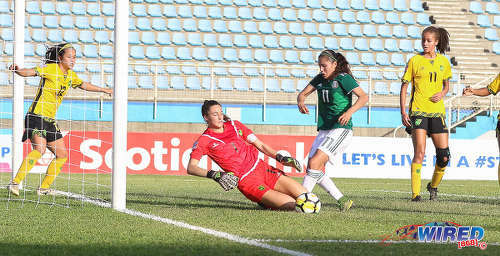 Photo: Mexico attacker Jacqueline Ovalle (centre) tries to find a way past Jamaica goalkeeper Sydney Schneider while Jamaican players Erin Mikalsen (left) and Giselle Washington look on during CONCACAF Women’s Under-20 Championship action at the Ato Boldon Stadium, Couva on 19 January 2018. Schneider was one of the 10 Jamaica starters who were born or based in North America—both substitutes used were also imports. The lanky custodian did not feature in two friendly 1-0 defeats to Trinidad and Tobago in November 2017 and only six members of that squad started yesterday’s game. 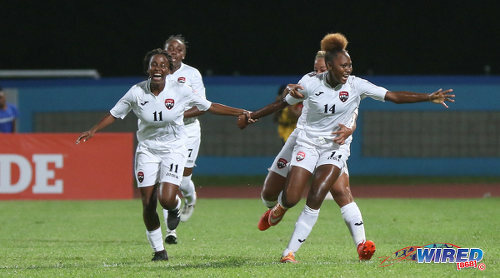 In the second half though, cagey Jamaica defending resulted in Chyanne Dennis putting the ball through her own net before substitute Belén Cruz rounded off the confident display with a close-range finish. “They were better than us today and we have to give them that,” said Gilbert. 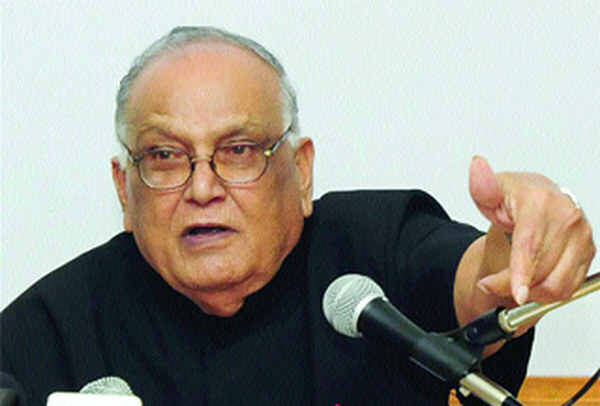 “We weren’t as positive as we should have been. We gave the Mexicans too much room to play and then we weren’t connecting our passes. Opening round wins leave USA and Mexico handily positioned in terms of semi-final qualification but both teams will be hoping to secure progress to the next round before they face each other in the last group stage match on Tuesday (23 January). 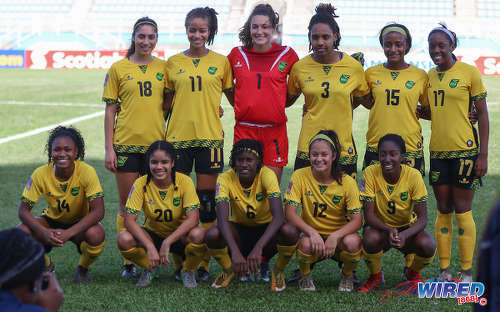 Photo: The Jamaica Women’s National Under-20 Team pose before kickoff against Mexico in the CONCACAF Women’s Under-20 Championship at the Ato Boldon Stadium, Couva on 19 January 2018. 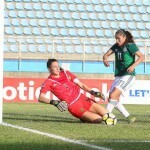 But experienced USA forward 18-year-old Ashley Sanchez is already looking at yesterday’s results to conclude that Mexico are not just group stage opponents but the biggest threats to a successful American title defence. 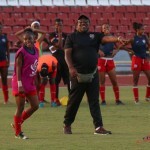 Along with teammates Kiara Pickett and Savannah De Melo, Sanchez was a member of the team which won the 2015 edition of the CONCACAF tournament, the nippy forward scoring the solitary item in a 1-0 win over Canada in the finals. Sanchez then went on to play a starring role for her country at the 2016 FIFA Under-17 Women’s World Cup and the 2016 FIFA Under-20 Women’s World Cup. It’s a catalogue of high-level international experience that Klimkova will surely be leaning on. Sanchez herself accepts and assumes the responsibility as a team leader. “It’s definitely been important for me to come in with all my experience and just kind of layering it in with the girls on this team,” she said. “I don’t think it (this tournament) has been significantly different from the last time (in 2015). Honduras is similar to this place and all of the girls I pretty much know already so it’s nice. Photo: The Ato Boldon Stadium scoreboard in Couva during the CONCACAF Women’s Under-20 Championships on 18 January 2018. The qualification race can be settled tomorrow. 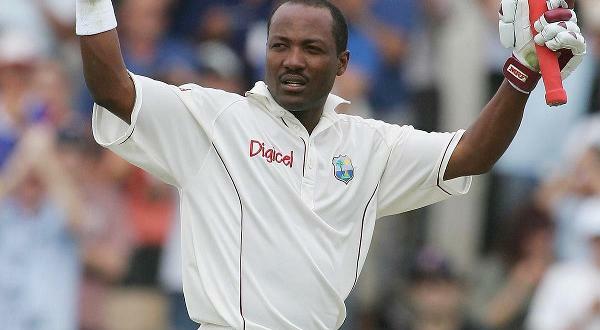 USA can end Jamaica’s chances of progressing when they take them on at 6:30pm. In the earlier contest at 4pm, Mexico too will look to continue their enterprising start to the tournament when they face Nicaragua. Two of the four are certain to remain in contention for a place to go north for the 2018 World Cup in France; two others can see their chances go south. United States 2 (Taryn Torres 18, Civana Kuhlmann 53), Nicaragua 0, Group B, 6:30pm. United States v Jamaica, Group B, 6:30pm. I see that myself. Any number can play after that. But that constant wave of pressure from USA. Don’t know if any other team can live with that. That’s right because our preparations does start years before the actual tournaments eh and right about now we have the 6 yr olds in training to continue to win plenty tournaments and keep our flag flying very high eh, we don’t prepare for no tournaments 6 months or less eh the same like the Trinidad and Tobago Football Association. Them really good yes steeuuppss.